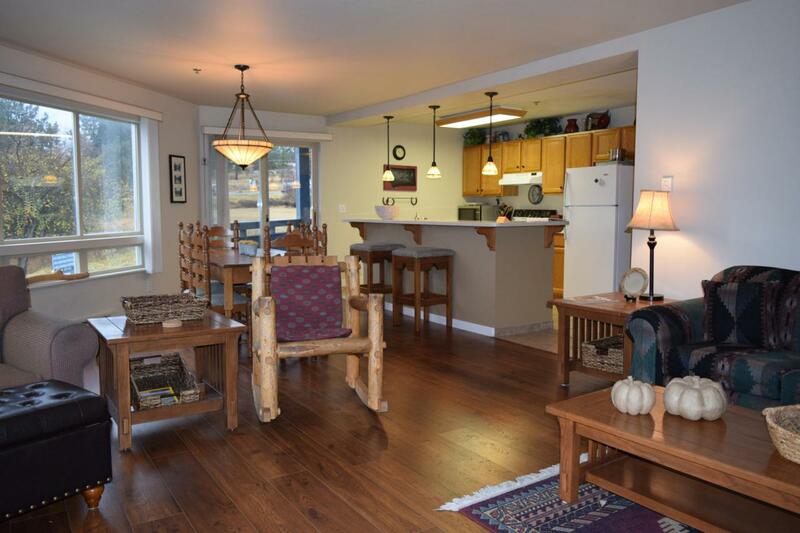 Beautiful updated 2 bedroom 2 bathroom Marina Cay end unit condominium with views of Flathead Lake through the trees. Super close to the idyllic village of Bigfork, Swan River walking trail, Eagle Bend golf course, stunning Flathead Lake, Swan Lake and Echo Lake. Approximatley 50 minutes to Glacier National Park. HOA dues cover water, sewer, garbage, cable, internet, exterior maintenance, insurance & snow removal. Minus a few personal items, condo comes fully furnished. Easy turn-key living, or rent it out when you're not in town! Contact Janice Erickson at 406-210-5079 / Dana Van Den Heuvel at 406-890-0832 or your real estate professional. Listing provided courtesy of Janice Erickson of Keller Williams Realty Northwest Montana.